When you grow up in a faith tradition that values bible study, Sunday School classes and Vacation Bible School bibles are very important. I don't mean the bible as the infallible and inerrant Word of God. I mean, rather, the physical book that accompanies you during a time of life. The fist bible you remember, perhaps as a child. The bible you highlighted during your teenage years when you really started studying it for the first time. And so on. A whole lifetime of bibles. I have so many memories of different bibles from my life. The first one I remember was an NIV I got for a Christmas present when I was young. They still make that particular bible. It has a cover of kindly Jesus holding a lamb with two children looking on. Whenever I see that cover in a bookstore it takes me back. I remember opening that bible on Christmas morning, turning to Matthew 5 and reading the Sermon on the Mount straight through. I read the Sermon on the Mount over and over that Christmas vacation. I still do that whenever I encounter a new translation. I flip to Matthew 5 and begin to read. But as I grew older I grew out of the sweet, childish cover of that NIV. I wanted something more mature and serious. So I saved up my money and went down to a small bookstore near my house where they sole bibles. I picked out a King James Version with a brown "leather" cover, the most mature looking bible they had to my eye. King James Version with a "leather" cover equals a grown-up bible. I put "leather" in scare quotes as I was young and had yet to comprehend the difference between "bonded leather" and "genuine leather." I was able to afford that KJV because it was made from bonded leather. Which means "fake leather that is going to crack." But I didn't know that. I thought I had just bought a leather bible. But the fake leather cover wasn't the problem. The problem was with the translation. As high and holy as all those "thee's" and "thou's" and "shalt not's" were I couldn't get my head about the text. What the hell was this bible talking about? I missed the comprehensibility of the NIV. So the next Christmas--disappointed as I was with both the content and the cover of my new bible--I decided to ask for a new bible with a genuine leather cover. But what translation to ask for? I asked around at my church, and given that we are a church that prized biblical literalism, I was told that I should prefer the "most literal" translations. That sounded good to me. Get the most literal translation, get as close to the original Hebrew and Greek as you could. So, I asked, what was the most literal translation? The answer came, the American Standard Version (1901). So that's what I got. My first genuine leather bible was the ASV. I loved that soft, black leather cover. The floppy flexibility in the way the bible would lay flat on the table or in my hand. I loved the fine India paper with the gold gilt edges. And the page ribbon. But disillusionment soon came. The bible was a physical beauty, but the ASV is just about as incomprehensible as the KJV. In fact, many think the ASV is worse that the KJV. It mainly has to do with grammar and sentence structure. In trying to be so literal the ASV tries to mimic the sentence structure of the New Testament Greek. Trouble is, because of the way Greek keeps track of subject and verb agreement in a way English does not, Greek sentences can be very, very long. When translated into English that makes for very complex, awkward and rambling sentences. Most modern translations handle this by breaking up the long Greek sentences into many shorter English sentences. But the ASV, in trying to hew to a strict "word for word" strategy, sacrificed intelligibility for literalness. Incidentally, the ASV is the grandparent of most of the major modern English translations. For example, the Revised Standard Version was a revision of the ASV. And the RSV was eventually revised to create the New Revised Standard Version, what many consider to be the best scholarly translation on the market. However, not liking the "liberal" bent to the NRSV (like gender inclusive language), the English Standard Version made its own revision of the RSV. And finally, the ASV was also updated to create the New American Standard Bible. All that to say, the ASV was the parent of the RSV, the ESV, the NRSV and the NASB. To this day, these are the translations that you reach for when you want a more "literal" translation of the bible. Anyway, finding my ASV no better than the KJV I eventually got a leather NASB of the New Testament. And that was the bible I preached out of during my High School years. I also remember that this was the first bible that I had the temerity of marking up, underlining and making notes in the margin. That's a huge moment for many of us. Marking in a bible is the moment, as best I can tell, when you formally become a Protestant. I marked in my bible because that's what everyone else was doing in my church. But I have to confess, I didn't like doing it. To this day I feel that marking in a bible, especially a beautiful leather bible with India paper and gold gilt edges, is marring the bible. I don't mind marking in cheap, hardback bibles. But I can't bring myself to mark in a quality leather bible. They are just too beautiful--as physical books--to take a highligher to. The first time I ran into a "thought for thought" translation, a translation going for "dynamic equivalence" rather than "word for word" literalness, was during my teenage years when I picked up a paperback copy of the New Testament entitled Good News for Modern Man. Given my journey with the "literal" translations the freshness of the Good News translation was startling. But what really captivated me about the GNT were the simple line drawings sprinkled throughout the text. These were the drawings made by Swiss artist Annie Vallotton for the Good News bible. And given that the GNT has sold over 140 million copies worldwide, Annie Vallotton as been described as the "best selling artist of all time." Not all recent editions of the GNT keep Vallotton's drawings. But in my estimation, it's not a Good News bible unless it has Vallotton's simple line drawings. All that to say, when I buy a Good News bible I buy it from used book dealers so I get an early version that has the drawings. Never, ever, buy a copy of the Good News bible unless it has Annie Vallotton's drawings. Over the last few years in teaching out at the prison I've struggled to find the best translation to use. The literal translations are too difficult given the reading and education levels of the inmates. Though I did try to teach a class once using the KJV as so many of the inmates have that translation. So I've tended to default to the NIV. Though the NIV bible I now use no longer has a sweet Jesus cradling a lamb on the cover. But a few years ago during a college bible class I heard a student read a passage out loud. And the translation was fresh and lively. It wasn't The Message (which I've never used). It seemed to be a close translation, but it sounded very dynamic. Very similar in sound to the Good News. I asked the student after the class what translation she was using. She said it was the New Living Translation. Turns out that the similarity in sound of between the NLT and the Good News has a common source. The Good News was one of the first translations, back in the 60s and 70s, to employ dynamic equivalence, a thought for thought translation technique. The NLT is a more modern incarnation of this same approach, placing it on the other side of the translation continuum from the word-for-word ASV-family. Exploring further I discovered that one of the guiding impulses behind the NLT was to achieve a dynamic sound when read out loud. I can attest to this. I read long passages out loud at the prison and nothing compares to the NLT for a dynamic public reading. If you're going to read a bible story out loud to an audience the NLT is great. When I was presiding over the graveside service for Liam, the son of our friends Matt and Amy, I wanted to read 1 Corinthians 13. I later gave that bible to Matt and Amy. It had a genuine leather cover. Delicate India paper. A ribbon bookmark. I ran the gamut myself. I remember as a little fellow being so impressed with the Dickson Study Bible (KJV) used by preacher relatives and meeting preachers. I remember thinking, "Someone has to be pretty smart to use that Bible". As important as the modern speech translations are, especially to new readers, I have come to wish that the CoC and other conservative denominations who threw their KJVs as far as they could throw them back in the seventies and eighties would pick them up again for the beauty it has to offer. I think they lost something then, and I believe it was the love of the beautifully spoken word. I am not saying they should teach from it; but time spent with the KJV, especially through the Psalms, just might help put the poetic into the preaching that I do not see and hear in evangelical churches. I still have my first two Bibles. The first because it was the first - the "bonded leather" so cracked that at 10 or so I wrapped the cover with a Christian sticker in neon green telling me that "God said it - I believe it - that settles it". Being fundamentalist both of these Bibles were KJV. I learned to read struggling through our family Bible time with that Bible. The thee's and thou's now are my literary companions. The poetic nature of the Old Testament informs my writing, now. I still have my second Bible. For years, I've been using this Bible of my teens - My Bible is older than my own teen-aged sons. It has true leather and the back has partially unhinged. (I probably should have kept it in the quilted lacy Bible purse.) It has my teen nickname; all the preacher quotes of my youth line the cover pages. A nosebleed during a particularly long sermon in I Timothy blots out a few words in chapter 2. The green for God-in-Science = proof evolution does't work reminds me that I am always in a struggle with my desire to make God into my need to be right. It has purple circles around Holy-Spirit-is-still-working texts so I could try to convince my parents that their interpretation was too narrow during my charismatic exploration. I've stopped marking in it now. I am content with allowing it to wrap me in its comfort; content in its friendship and familiarity; content to ponder the ways in which God loved me in every phase of my faith and will love me even still. "And the translation was fresh and lively." As soon as I read that, I knew you were going to say the NLT. I got mine a few years ago because it was on special offer and a friend had bought extra copies. Even today, I'm startled by the clarity and beauty of expressions it employs in well-known passages. Often I've run back to the more literal translations (NRSV is my 'normal' bible) with the thought, "Wow, does it *really* say that?!" And yes, it does, and I'd just never noticed before because I was so used to the traditional language and my eyes skipped over it. I rely on the NLT often. Here is a bet: If one starts reading Ecclesiastes in the NLT, I'll bet you won't stop reading until you have finished that book. I have found it useful to have several translations at hand; one can easily compare and discover one does a better job than another. Once the church elders told me that if they hired me as their preacher, I would have to use either the KJV or the ASV (1901 edition). Today I receive a church bulletin (over 600 members) that reminds their members EVERY WEEK that those leading in worship MUST wear a coat and tie and that they can only use one of these approved versions: King James, American Standard, New American Standard, and they recently added the New King James. I don't know if this news has been widely circulated, but a year or so ago a group announced that the Bible was way too "liberal." And that they had begun efforts to provide a translation that would offer reinforcement to the values and beliefs of conservatives in politics. I call it the barbell approach. If I'm digging in to really understand a passage, I use the ESV. We used to call it "every seminarian's version" because you could make really good guesses as to the underlying Greek. In worship we default to the ESV. If I'm reading a longer passage or concentrating on the larger story, like with confirmation classes, I use the NLT. All the attempts in between just feel like they have made a compromise. The one caveat with the NLT is the Psalms. The poetry is awful. A "sense translation" of poetry misses the point I think. I agree. I don't like the NLT with the Psalms. But it's great with narrative. 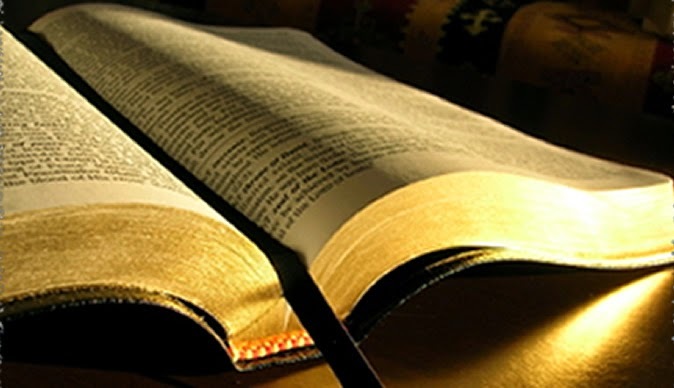 Have you looked at the CEB--the Common English Bible? I now prefer it over the NRSV. I haven't. What do you like about it? I've started to used the KJV in my daily devotional readings for just that reason, the poetry. "Lord, have mercy on my son: for his is lunatick and sore vexed." I've been walking around saying to Jana, "I am lunatick and sore vexed." My first Bible was a children's one, with a hard cloth binding and a scene of Jesus with children and lambs on it. More importantly, it zipped. I don't know what translation it was but that it zipped made it feel real. In third grade, my church gave us NRSV Bibles and that followed me through college (I started writing in it in high school youth group). I've stuck w/ various NRSVs (and a KJV for poetic psalms) since then until I read the Message. It seemed to get to the, um, message. When I do Bible study now, I use an NRSV and The Message both. I like the NRSV for its faithfulness to the original but when I want to hear the message (with more than my brain), The Message gets down to it. I read somewhere that the NLT had some significant translation biases, but I can't remember what they were supposed to be. For use with people who have reading difficulties, someone recommended the Contemporary English Version. Have you looked at it? Thanks to you, Richard, for a great blog! When I asked Dr. Charles Siburt once which translation was the best, he replied, "The one you'll read!" I miss that guy. Good News was my first. It's also the only bible that I have genuinely read, 'cover to cover'; working my way through it twice as a kid before migrating to the NRSV via a brief sojourn with the NIV. Those beautiful Annie Vallotton illustrations are forever etched into my psyche.